I needed a 12x12" piece of surface designed fabric to send to someone and so I started with some dyed fabrics and stencils I created from my drawings. 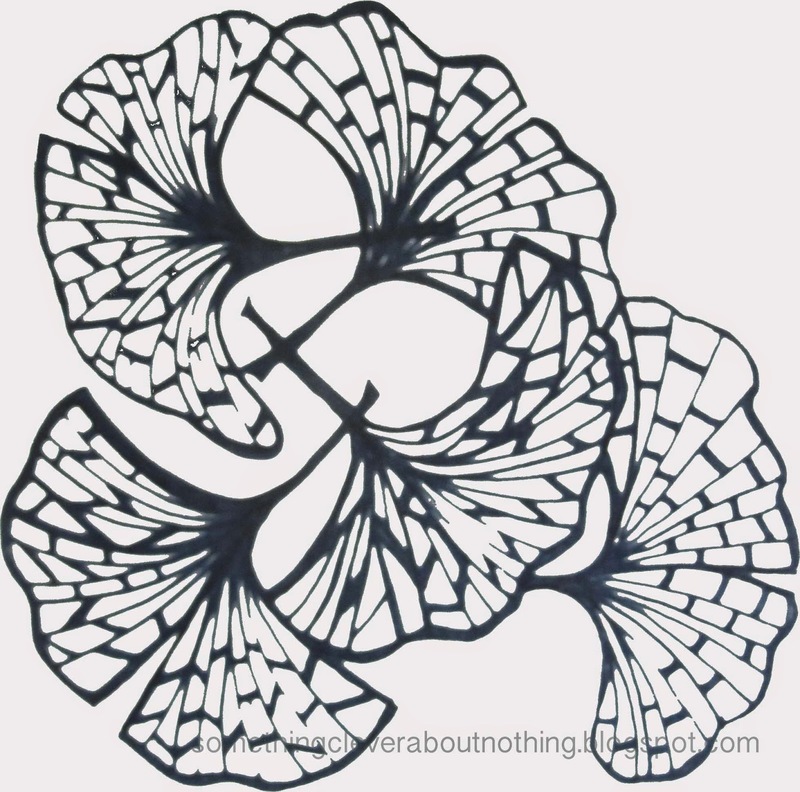 My Gingko leaves drawing was the first stencil I tried. 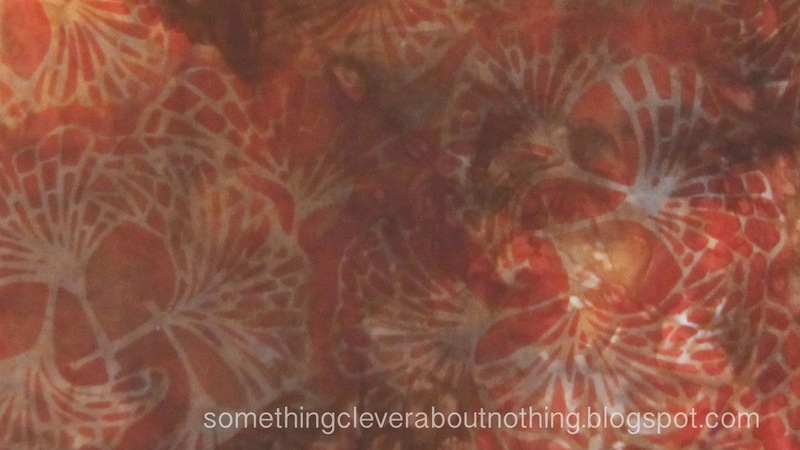 I used orange Setacolor paint on top of a brown and orange hand dyed fabric. It's a very light pattern and I think it may need a few more layers but since I didn't know what I wanted to do next, I move on to another piece. I love the way the stencil has turned out from this drawing, and I think I may make a thermofax of it too, and perhaps that is what I need to do with the ginkgo leaves above too! 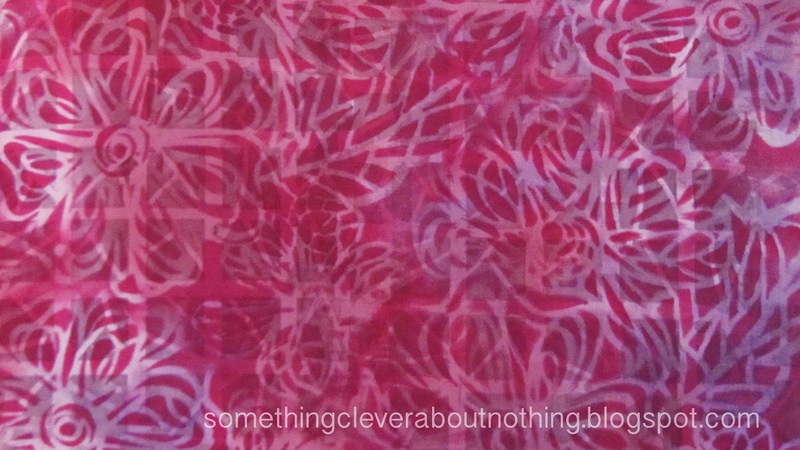 I had a piece of pink and purple hand dyed fabric that I used with some Color Magnet awhile back and so I stenciled over the top with Fuchsia Setacolor. I really like how the piece turned out but I didn't think it looked like the person I intended it for. 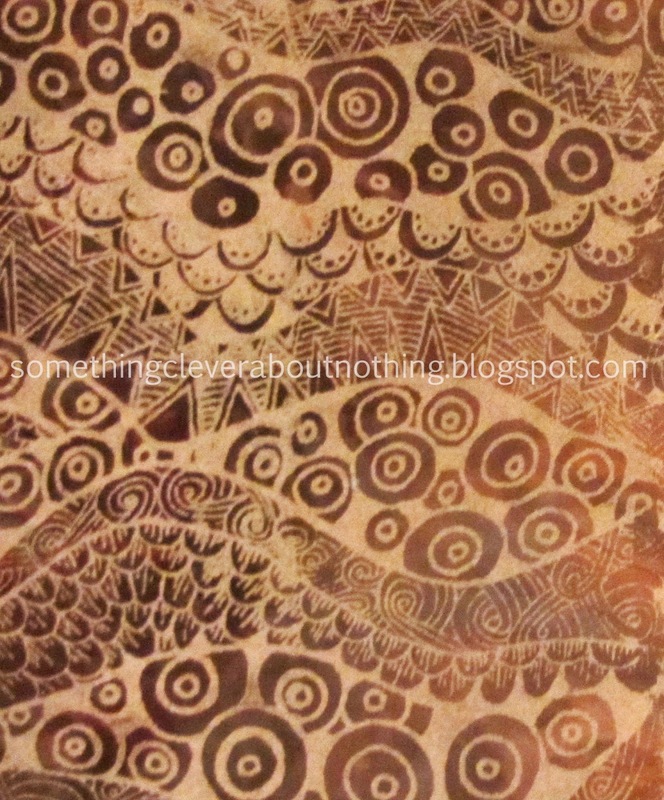 A while ago I drew this layered zentangle and made it into a large thermofax screen. I used another piece of the brown and orange hand dyed fabric and screened the design using Jacquard Lumiere metallic burnt orange. This is a close up. 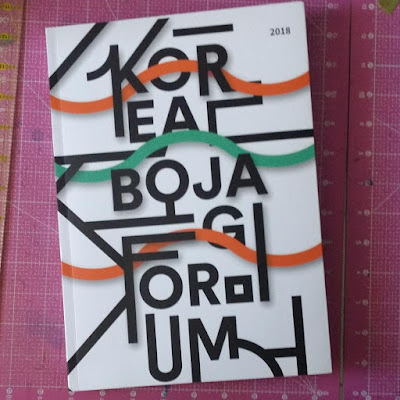 I like how this design prints! So happy to finish this piece up and put it on it's way. Amazing how quick it all came together. Why do I procrastinate so much?!? Is there anything you've been putting off lately? Lisa, These are so beautiful! Yes, make a thermofax of those first two designs. How lovely the ginko leaves are arranged! And the last one in metallic burnt orange is so beautiful! Do you use Setacolor Transparent? that seems very inventive to me. 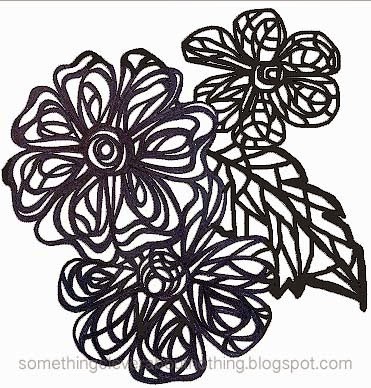 I'm just getting into zentangle and love the idea of making a stencil or screen from them. Great designs, the ginko's are my favorite. WoW! The details of your stencil are amazing, and the zentangle thermofax screen is so intricate, you could never cut that with a stencil. All the fabric is beautiful!! Love it, love it! I am so intrigued with the doodle stencil on the brown. Oh, my! 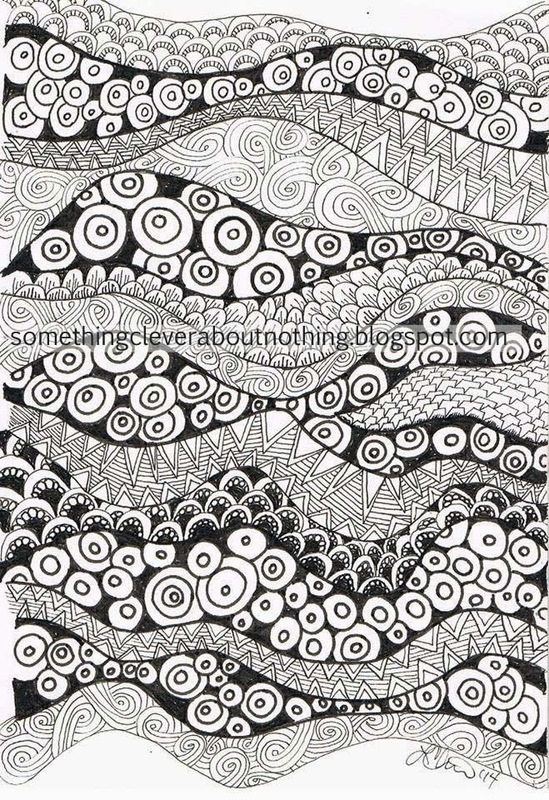 I love the zentangle thermofax screen. 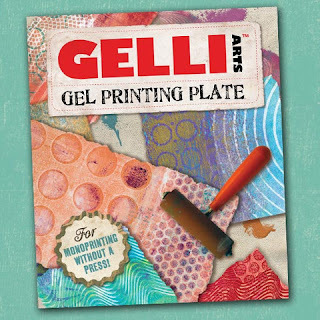 These stencils are fabulous! I have a thing for Ginkgoes (See my blog header), but I love them all. I love your pieces. The thermal ax is my fave but the stencils are great as well. Wow! They are all luscious! gorgeous! Love your zentangled thermofax screen!! !